November 16, 2012 — Sherman College of Chiropractic has named Edwin Cordero, DC, as the college’s fifth president, effective Jan. 1, 2013. Peter Kevorkian, DC, chair of the Sherman Board of Trustees, made the announcement on campus Nov. 13. Kevorkian says the trustees look forward to working with Cordero as he continues to advance the college’s mission of preparing students to become doctors of chiropractic through education, research, and service. Cordero, a 1993 graduate of Life University’s College of Chiropractic, is a practicing chiropractor in Boynton Beach, Fla. He frequently speaks at chiropractic associations, conferences, and other organizations around the world with the goal of inspiring and motivating chiropractors and students to make a positive impact in their communities and the world. The Florida Chiropractic Society named him Chiropractor of the Year in 2011. Fluent in Spanish, Cordero practiced in Puerto Rico for a year before establishing his current private practice in Florida in 1995. He is dedicated to serving the chiropractic profession and has participated in humanitarian chiropractic mission trips; he served as chiropractor for the Costa Rican team in the Central American Olympic Games for eight years. Cordero says he is honored to serve as Sherman’s next leader. 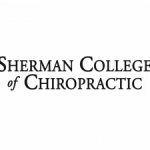 “My vision as president is to lead Sherman College in becoming the preeminent chiropractic school in the U.S. and the world, and to strengthen its cultural legacy of outstanding academics, chiropractic philosophy, excellent faculty, technique and research,” he says. Sherman’s search for the next president began in May after Jon Schwartzbauer, DC, announced that he would be stepping down. After reviewing 20 applications and conducting preliminary interviews, the board narrowed the field to three candidates and released those names in October — Cordero; Joe Donofrio, DC; and Shawn Powers, DC. Schwartzbauer continued to serve as the college’s leader while the board conducted its search; his contract at Sherman ends on Dec. 31, 2012.